Chromatin reader protein that recognizes and binds acetylated histones and plays a key role in transmission of epigenetic memory across cell divisions and transcription regulation. Remains associated with acetylated chromatin throughout the entire cell cycle and provides epigenetic memory for postmitotic G1 gene transcription by preserving acetylated chromatin status and maintaining high-order chromatin structure. During interphase, plays a key role in regulating the transcription of signal-inducible genes by associating with the P-TEFb complex and recruiting it to promoters: BRD4 is required to form the transcriptionally active P-TEFb complex by displacing negative regulators such as HEXIM1 and 7SKsnRNA complex from P-TEFb, thereby transforming it into an active form that can then phosphorylate the C-terminal domain (CTD) of RNA polymerase II. 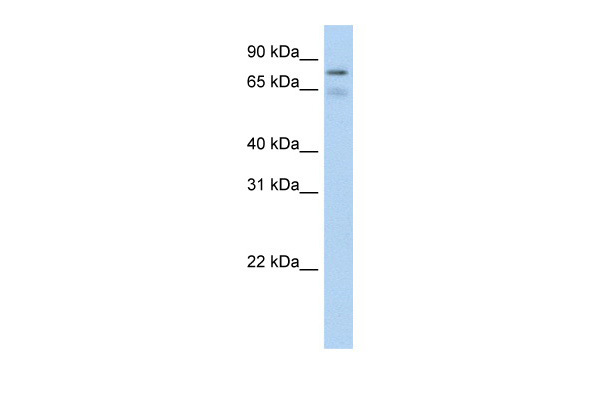 Promotes phosphorylation of 'Ser-2' of the C-terminal domain (CTD) of RNA polymerase II. 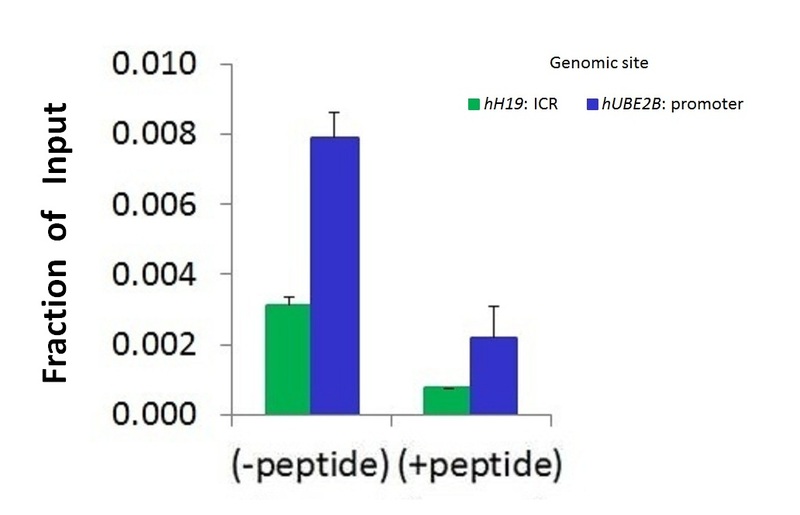 According to a report, directly acts as an atypical protein kinase and mediates phosphorylation of 'Ser-2' of the C-terminal domain (CTD) of RNA polymerase II; these data however need additional evidences in vivo (). In addition to acetylated histones, also recognizes and binds acetylated RELA, leading to further recruitment of the P-TEFb complex and subsequent activation of NF-kappa-B. 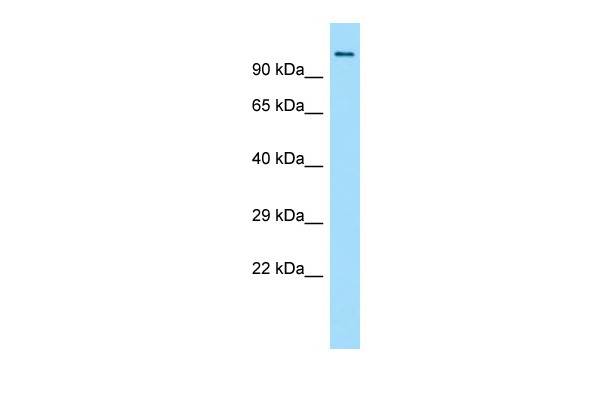 Also acts as a regulator of p53/TP53-mediated transcription: following phosphorylation by CK2, recruited to p53/TP53 specific target promoters. Isoform B: Acts as a chromatin insulator in the DNA damage response pathway. Inhibits DNA damage response signaling by recruiting the condensin-2 complex to acetylated histones, leading to chromatin structure remodeling, insulating the region from DNA damage response by limiting spreading of histone H2AFX/H2A.x phosphorylation. Nucleus. Chromosome. Note: Associates with acetylated chromatin. 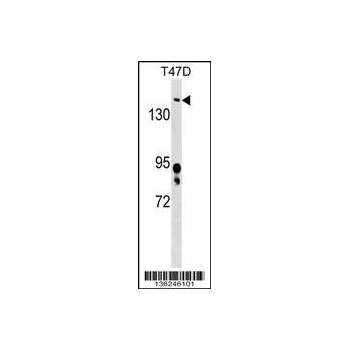 Released from chromatin upon deacetylation of histones that can be triggered by different signals such as activation of the JNK pathway or nocodazole treatment. 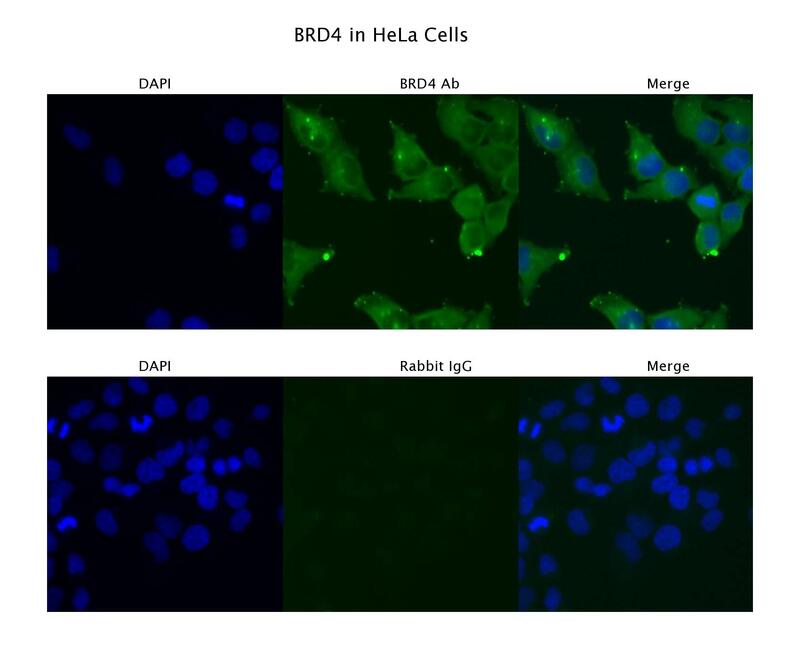 A chromosomal aberration involving BRD4 is found in a rare, aggressive, and lethal carcinoma arising in midline organs of young people. Translocation t(15;19)(q14;p13) with NUT which produces a BRD4-NUT fusion protein.